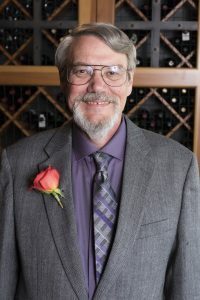 On the evening of May 20th, the Oregon State University College of Pharmacy alumni and friends gathered at Portland City Grill to honor the recipients of the 2017 Icons of Pharmacy Award including Robin Richardson (’84), Nancy Louie Lee (’79), and Gary Miner (’73), who have each greatly affected the way pharmacists practice. 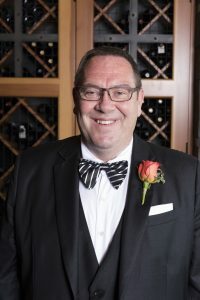 Known both for his tireless work ethic and a stellar track record as innovator and collaborator, Robin Richardson is widely hailed for his broad range of inventive business initiatives that helped transform the way pharmaceutical services are provided and paid for throughout the Pacific Northwest and Alaska. A deep-rooted entrepreneurial spirit spurs Robin to an ongoing career of transformative contributions to the profession. Inspired by his hometown pharmacist, Dennie Latimer, and encouraged by a friend, Steve Doomer (’82), Robin pursued pharmacy at OSU where, as a proud Beaver, he served as National Student Vice President of APhA. After graduation, Robin worked for the Oregon State Pharmacy Association and launched a PBM that was one of the very first in the country. That accomplishment led to him being recruited to start the National Home Infusion Association, the innovative interdisciplinary organization representing home IV services. In 1998, Robin joined Moda, Inc. (then ODS) where he now serves as Senior Vice President, overseeing the 1,500-employee company’s Pharmacy, Medicaid, Government Programs and Human Resources departments. Philanthropy always has been central to Robin’s personal and business philosophy; he supports organizations that mirror his passion for improving the lives of others. Among a wide range of civic engagements, Robin currently chairs the board of the Eastern Oregon Coordinated Care Organization and serves as a director of the Oregon Business Association. A career-long trailblazer, Robin played a key role in broadening the scope of pharmacy education through the “non-traditional” rotation he created with OSU College of Pharmacy, engaging students in hands-on work with a managed care company. That led to the creation of a highly successful residency program. Robin also worked with Wayne Kradjan, former dean of OSU College of Pharmacy, to create the Hall of Fame, now known as the Icons of Pharmacy, recognizing those who make major contributions to the profession. At Moda, among his many innovations, Robin established the NW Prescription Drug Consortium, pooling prescription drug purchasing and lowering costs, especially for the uninsured and underinsured, throughout Oregon and Washington. More than a million Consortium members now benefit from Robin’s vision for this healthcare market. Robin recently completed a landmark term as national chairman of the American Diabetes Association, capping his 17 years of service to the organization that fights for those affected by the disease. 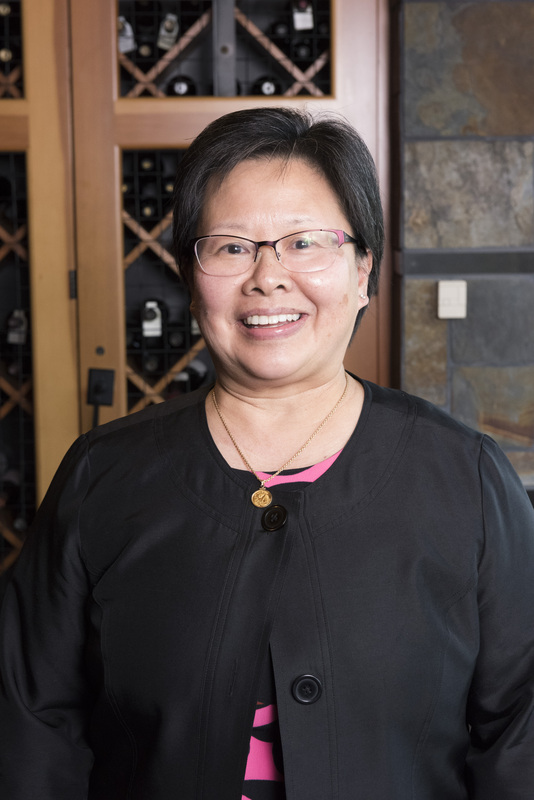 A champion for high quality affordable health care, Nancy Louie Lee is the daughter of Chinese immigrants and shares a family legacy in pharmacy with her brother Shelton Louie (’78) and sister Jeannie Louie (’86). Nancy credits her interest in pharmacy and her passion for helping others in large part to the compassionate care she received as a child from her community pharmacist in the course of the extensive treatments needed for her Atopic Dermatitis. This was the moment, along with the encouragement of her family to pursue a health profession, that solidified her passion to advocate for high quality, affordable healthcare. She received her Bachelors of Science in Pharmacy from Oregon State University and a Masters of Science in Hospital Pharmacy and Nutrition. She also successfully completed a general residency in Hospital Pharmacy from the Veterans Administration Medical Center, and a specialized residency in Nutrition Support Residency at Medical University of South Carolina. Nancy is a trailblazer. She developed and taught a PharmD course in parenteral and enteral nutrition, fluid and electrolyte management and drug therapies in intensive care, hospital, and home settings as an Assistant Professor of Pharmacy Practice at University of Arizona. She was also among the first to successfully implement programs to document and define the value of clinical pharmacy services at Providence Medical Center and Kaiser Permanente Northwest (KPNW). Nancy served as Director of Clinical Pharmacy Services at KP and was instrumental in expanding the scope of clinical pharmacy services from a team of six working in Formulary and Drug Information Services, to a thriving professional interdisciplinary department of over 140 employees who improve the lives of our community through award-winning Medication Management Services and Transition Care Services, Drug Use Management, Pharmacy Residency and Student training to deliver high value clinical pharmacy services. As a volunteer adjunct faculty, Nancy developed and coordinated a pharmacy elective on therapeutic decision making, which she taught along with other volunteer pharmacists in community and hospital pharmacy practice. In addition to her pharmacy career at Kaiser Permanente, Nancy led Clinical Quality and Population Health at Kaiser Permanente Northwest for the last 11 years. She was recently promoted to Vice President of Quality, Patient Safety and Care Experience for the Northwest Region of Kaiser Permanente. As Compliance Director, Gary Miner was inspired to ensure compliance through education over confrontation. He set value in engaging licensees in the process to improve access to and understanding of the rules governing pharmacy practice. Thereby Gary was integral to transforming the Board of Pharmacy from a primarily disciplinary body into a true resource for the profession. Gary was also intimately involved in rewriting the Hospital Section Rules and innovated the process by engaging practitioners to provide meaningful input and create a direct and visible connection between the practitioners and the Board. Further, Gary was key to engaging the Board with students to ensure smooth transition to professional practice through establishing the Board as a rotational site and developing a PIC course taught by Board staff – now an integral piece of the College of Pharmacy’s curriculum. Gary, a true Icon of Pharmacy, has stepped up to lead the transformation of the Oregon Board of Pharmacy and of the pharmacy profession at each stage of his distinguished career. 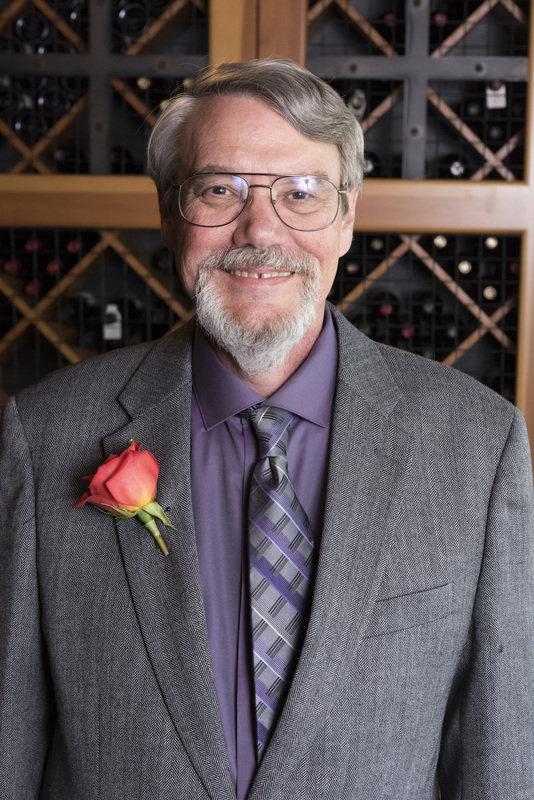 Upon graduation from OSU College of Pharmacy, Gary joined Tuality Hospital as a staff pharmacist where he established a standard of going above and beyond by helping develop the IV admixture program. He also served as Director of Pharmacy at Woodland Park Hospital Pharmacy and Eastmoreland Hospital prior to becoming the Compliance Director for the Oregon Board of Pharmacy.